Novak Djokovic parts with his entire coaching team before Madrid Open – Royal Times of Nigeria. Twelve-time Grand Slam winner Novak Djokovic has parted company with his entire coaching team, including Marian Vajda, who has been with him through almost all of his career. Djokovic believes this “shock therapy” will help him achieve better results. The world number two says he will be on the tour alone until he finds the right person to take over as head coach. Boris Becker, himself a six-time Grand Slam winner, left after three years as the 29-year-old’s coach in December. 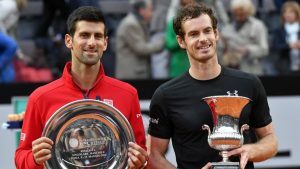 Djokovic lost his world number one spot to Britain’s Andy Murray in November last year, after 122 weeks at the top of the rankings. 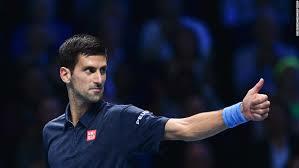 The Serb next competes at the Madrid Open, with the men’s first-round draw to take place on Friday afternoon. A statement on Djokovic’s website said he and coach Vajda, fitness coach Gebhard Phil Gritsch and physiotherapist Miljan Amanovic had “mutually agreed” to “end their successful and long-term partnership”. Djokovic said he would be “forever grateful” for their “friendship, professionalism and commitment to my career goals”. “Without their support I couldn’t have achieved these professional heights, but we all felt that we need a change,” he added. “My career was always on the upward path and this time I’m experiencing how it is when the path takes you in a different direction. He beat Murray in the final of January’s Qatar Open, but was knocked out in round two of the Australian Open later that month in a shock defeat by then-world number 117 Denis Istomin. In his five events since then he has failed to advance beyond the last eight, most recently losing to Belgium’s David Goffin in the Monte-Carlo Masters quarter-finals. Arsene Wenger returns to coaching .